If you were at our Mad March Fair you might have seen Tom Barratt, with a video crew in tow! He was the charming and engaging presenter of Little Wonder Television's report about The Vintage Village made for the Screen Stockport festival. You can see this fantastic report here. We thought he demonstrated a very distinct sense of style and we're delighted that he agreed to be our finder this month! Tom is a student at Aquinas College, and he tells us: "I've a keen interest for all things fashion and design related. Vintage shopping is definitely a favourite of mine, I love everything from delicate and whimsical to bright and bold!" Clearly a very discerning chap, Tom's selection is short and sweet, and surprising too! 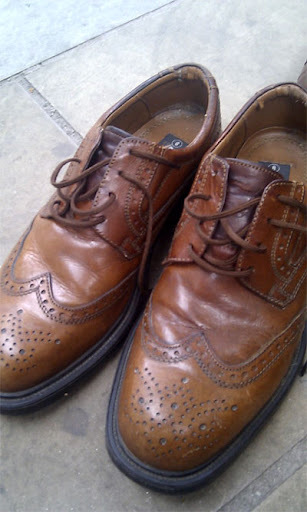 "These beautiful brown leather brogues looked so good I had to try them on, they were a bit too snug alas but I'm sure someone else (with smaller feet) will fall in love with them!" 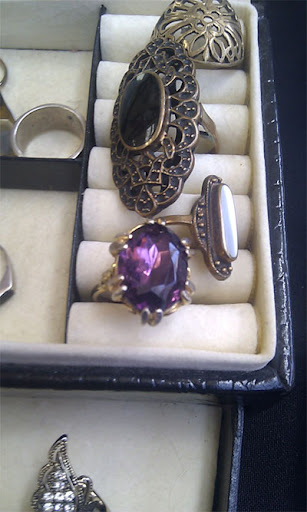 "I seem to be drawn to all things purple, so when I spotted this sparkling gem I had to take a snap of it. Beautiful!" 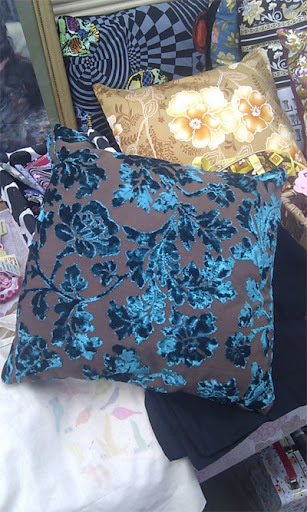 Cushion, discounted to £3 in the Kitsch Republic sale. 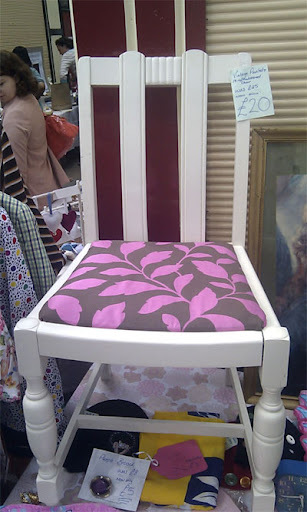 White wooden chair, £20, Kitsch Republic. 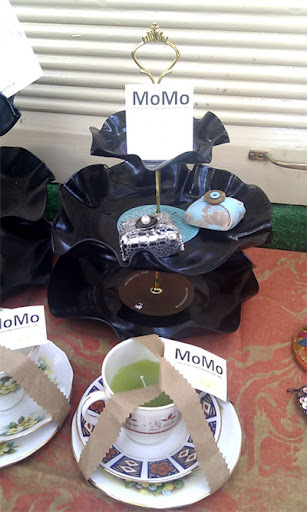 "I love cake stands as it is but one that's made of three vinyl records? Yes please! Especially when it comes with a free tea cup candle, what a great idea." 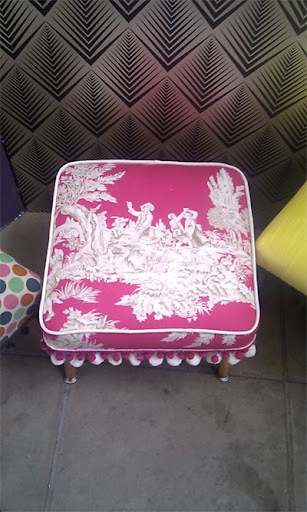 "The fabric on this vintage re-upholstered foot stool is brilliant, a traditional design but in neon pink. It's brings together both new and old fabulously!"